With another passing week we have the latest Media Create charts out of Japan, and the focus this time is on momentum and solid sellers, with no major new releases arriving to shake up the results. From Nintendo's perspective the news is positive, with its releases showing decent numbers and hardware holding relatively steady. 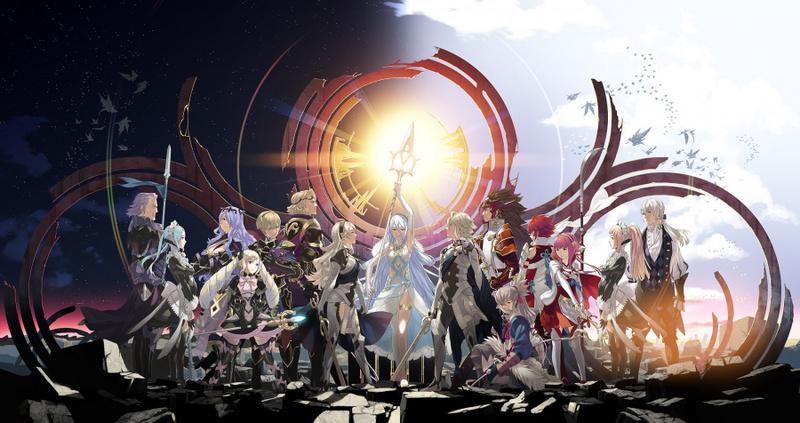 Starting with software, Fire Emblem Fates - with its two versions - remains at number one having added nearly 55,000 sales to its launch results; notably the special edition (with both versions) has now dropped out of the top 20. Rhythm Tengoku: The Best Plus - better known as Rhythm Heaven in the West - has climbed to second with impressive momentum, and likewise Splatoon is still going well on Wii U. A number of other evergreen Nintendo releases can be found further down the top 20, too - the results are below with lifetime sales in brackets. Hardware sales were generally down last week, with only the PS4 and original 3DS LL (XL) bucking the trend. Nevertheless the New 3DS LL holds number one spot, supplemented by the other models in the 3DS family, and the Wii U remains solid and with five figure sales; results are below with last week's sales in brackets. A pleasing week from Nintendo's perspective, with its games and hardware holding steady in a quiet release period. Animal Crossing is going to crack 4 million in just Japan in like 2 weeks. Very impressive for a game with no goals. This has just made me yearn for Nintendo to release more Fire Emblem on VC and make a new Wars game for Wii U! Splatoon still holding on strong. Well deserved. Hopefully Splatoon's success will prompt Nintendo to try new IPs more often, instead of just slapping Mario's face on everything. I wonder what is causing the uptick in ps4 sales... Ah well happy for splatoon and the other two 3ds games...I knew I should have gotten express shipping. @XCWarrior yokai watch releases this week and should crack a mill first week. the downside is the great ace attorney also comes out and it's going to flop. @faint No doubt. But I'm just pointing out 4 mil for a game's sales only in Japan is super impressive. Yokai Watch, Monster Hunter, Dragon Quest, maybe Puzzle and Dragons only other games in Japan that can probably ull that off. @XCWarrior i dont think animal crossing is going to hit four million in two weeks. it may cross 1.5 fw but i'm not convinced of that yet. it's not moving fast enough at coming yet. 23 more days and we will see. @faint Why will Ace Attorney flop? It looks great and there's a strong AA following in Japan, not to mention it's been heavily covered in Japan for months really. I think it will do well, 100,000 in no time I would think, which is pretty good considering. Man, those legs on Splatoon. What an impressive run. Super happy to see Fire Emblem on top, too, as that's my most anticipated 3DS game right now. Happy to see Fire Emblem continue to do well. The limited edition probably sold out already, which would explain the absence from the chart. Would be a good relief for IS, after the failure of Code Name STEAM. Splatoon is still holding really well and looks like it will have a decent long legs. Nintendo really strike a gold with that. Wii U is slowly declining after the Splatoon boost, but stay in five figures which is a good thing. Hopefully, Yoshi Woolly World will give it another boost. And who knows how Splatoon will do after the August update, perhaps another boost as people complained with lack of content will finally get it. PS4 is doing really well and it's such a mistery, the software chart doesn't reflect the many unit of hardware sold. But having PS4 and Wii U doing great right now at least proved that home console market in Japan is still alive, which is a good thing. Xbox though, I don't know why they still insist of selling in Japan. @faint oh and for that one he means New Leaf, not any of the upcoming ones. That is an amazing number considering it's still relatively new and not the most Japanese game out there. Hopefully Splatoon's success will prompt fans to try new Nintendo IPs more often, instead of just buying anything with Mario's face slapped on it. If it sells 4,000 copies in each of the next 2 weeks, it gets to 4 million. You looking at the wrong number? Are people just buying PS4s without any games? @chardir There was a time that was a fun joke about PS4. Not anymore. There are tons of good games if you don't own a gaming PC, which most of Japan does not. @faint No worries. I've done the same thing. If Happy Home Designer sells a million in the US, I'd be shocked. In Japan, MAYBE cracks a million, but even then, it's a shell of a game. So many sales only in japan? That's insane! Really glad about that. 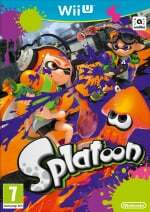 Next to Team Fotress 2, Splatoon is my absolute favorite multiplayer game even despite it's limited matchmaking options. Man I've been in the mood to play FE latley. I really wish I never sold my GCN back in the day. I browsed Amazon to see how much PoR is going for, and its ridiculous. Nintendo, please bring GCN and Wii games to the VC! @JaxonH There is a Dragon Quest game coming this holiday season. Smart Japan players are getting their PS4 now so they don't worry about a stock shortage when the game is released. At least that is my best guess. FYI the new, more energy efficient PS4 was recently released in Japan. I forgot about that, but they did bring games which are not too hard to find. @XCWarrior @JaxonH Yeah, if you add up all the PS4 software sales in the top 20, it's still less than the hardware sold. My guess is software sales are spread out across lots of titles not in the top 20. Or maybe that people are subscribing to PS Plus. @JaxonH @chardir If I were to pick up a PS4 (no time to), I'd get MLB The Show, subscribe to PS Plus and never buy another game. I don't know how that system survives (I know most people can't wait to play a game past day 1, but I can). They give you 5+ free games a month. 2 are probably gonna be good. So play those with all the other systems most of us own, and never actually buy a game. Cause most of the good ones are free eventually. 3DS and Vita continue to trade off with each other in Japan... The final battle for portable consoles.